One of the best ways to maintain the cleanliness of your front lobby is to invest in a commercial cleaning company like A360 cleaning. Your front lobby says a lot about your business! It is important to remember that first impressions are everything and because your front lobby is one of the first places customers see when they walk into your business. For that reason, you want to be sure to keep it clean! One of the best ways to maintain the cleanliness of your front lobby is to invest in a commercial cleaning company like A360 cleaning. In addition, there are some steps you can take to help maintain the area. Business owners need to appreciate that many customers will turn away if a lobby is not up to par. Keep reading and discover a few tips for keeping your front lobby clean! One of the best steps you can take to protects your carpets is to invest in entrance mats and area rugs for your lobby. An entrance mat will prevent a lot of dirt and debris from being dragged inside your business. Area mats are great for high traffic areas where your carpeting would otherwise be worn down. It is significantly more affordable to replace floor mats and area rugs then to replace your carpeted floors. Smell often leaves a lasting impression with customers. You want to leave your customers with a positive memory when they enter or exit your lobby. This requires you to maintain a fresh scent by having your HVAC system checked annually. This will help to prevent mildew and mold spores from being spread across your lobby. Many businesses neglect to dust their front lobbies on a regular basis. Dust can quickly accumulate on furniture and other items in your lobby area. 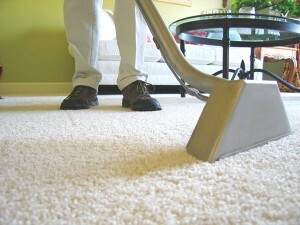 Not only does dust make your look your lobby look neglected, but it makes it less hygienic for customers or patients. This entry was posted on Friday, February 1st, 2019	at 10:45 am	and is filed under Commercial Cleaning	. You can follow any responses to this entry through the RSS 2.0	feed. Both comments and pings are currently closed.